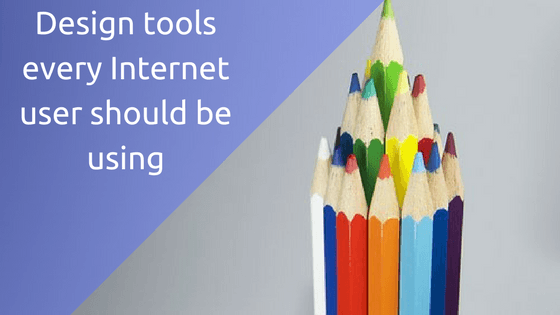 →Top 27 online design sites and tools every Internet User must be using. PicJumbo was started by the site’s owner Viktor Hanacek. Most of the images on PicJumbo are created by himself. It all started after all the regular stock photo site didn‘t want his photos due quality issues. Two years later people downloaded more than two and half millions images from this site. The collection is fairly small, but all the pictures are very high quality. Pexels provides a database of free images. They have a smaller collection of images (at the time of this writing), but quality is not compromised. Pexels is quite similar to Pixabay. All photos on Pexels are licensed under the Creative Commons Zero (CC0) license. This means the pictures are completely free to be used for any legal purpose. The pictures are free for personal and even for commercial use.You can modify, copy and distribute the photos.All without asking for permission or setting a link to the source. So, attribution is not required. On Pixabay you may find and share thousands of images free of copyrights. All pictures are released under Creative Commons CC0 into the public domain. However, depicted content may still be protected by trademarks, publicity or privacy rights.They can be used on social media platforms as well. Free (do whatever you want) high-resolution photos.With Unsplash, you’ll get 10 new free pics posted every 10 days. They are usually landscape photographs often in serene tones, which makes them good as background images. You can subscribe to get the best of Unsplash delivered to your inbox.There are social Media versions of unspalsh aswell. TwitterUnsplash, FacebookUnsplash, PinterestUnsplash, MediumUnsplash, and Instagram. This is a search engine you can use to find images and you can set the filter to only look for images that have a free, commercial use license. You can use it to find suitable images via Google, pixabay, flickr and other stock image sources. Always do proper due diligence with what is free and whats not.Note however, that royalty free images doesn’t mean its free to use.Also double check the licensing of an image in the filtering process because it doesn’t always work perfectly. All photos uploaded to the site are released under Creative Commons - CC0 and do not require attribution. No more hassle trying to figure out whether you can use photos for commercial use and whether you need to provide attribution.Made by the fine folks at Snappa. You can subscribe to have stock images sent to your inbox immediately. Font Awesome is a hugely popular icon font with icons for almost any purpose you can think of. You can download it directly, but we recommend simply loading Font Awesome into IcoMoon and generating your custom sets that way. IcoMoon lets you pick from dozens of font icon sets (many, but not all of them free to use) and generate your own custom icon sets that you can use both online and off. With over 4000 free and open source icons available in IcoMoon's library, and by allowing you to generate crisp icon fonts and SVG sprites locally/offline, this service is far ahead of any similar one. IconFinder is an icon search engine that you can use to find image icons. It has useful filter settings that let you search for icons that are free to use for commercial purposes. Canva is perhaps the most user friendly online image editor anywhere. It’s super easy to create images for various purposes and you can even use pre-defined templates for Twitter cover images, Facebook ad images and many more. Check out this video we made about it. Canva design as a free graphic online tool is by far one of robust popular online graphic editor tools of choice. Pixlr is another powerful online editing tool. It is more advanced and packed with tools to make your editing process more professional.It requires more learning time. Because of its offering of even more features and options. PicMonkey is as an online image editing tool is a bit more advanced than Canva. It has a bit off a learning curve and also time consuming to use but it is a perfect tool if you want to easily modify stock photos to use on your website, presentations and projects. You can go Premium for deluxe features and re-editable images, and make it Supremium for all that plus unlimited storage. Fonts are a very important design element on any web page. Where can you get good fonts? Google fonts is an open source platform that works with designers around the world to produce best-in-class typeface designs that are made for the web. Google fonts simply offers an intuitive and robust directory of open source designer web fonts. By using our extensive catalog, you can share and integrate typography into any design project seamlessly—no matter where you are in the world. Fonts are nothing to mess with, so we always recommend sticking to the more popular and less fancy ones. unless you’re a total typography junkie. There are over 600 typefaces in the Google web fonts directory. Many of them are awful. But there are also high-quality typefaces that deserve a closer look. Beautiful Web Type provides examples of these typefaces in action.All you have to do is click the any of the examples on the page to get the typeface from the Google web fonts directory. Combining fonts is tricky. Unless you’re a typography nerd yourself, it’s best to “outsource” this kind of decision and FontPair is one of the places where you can find pre-created font pairings that look good. SiteInspire is a showcase of the finest web and interactive design.These are websites that look great with all the bells and whistles but not websites that convert. Take specific elements from these designs, but don’t copy them blindly. A collection of keynote and PowerPoint presentation curated for your inspiration and slides.A showcase of beautifully designed slideshow presentations. A great online design site for your presentations. Whether you are looking for inspiration for projects, or seeking a little mental vacation in your day.Design Seed has evolved into an international community who share a passion for nature’s beauty, wanderlust, & discovering inspiration in unexpected captures. You can easily copy the colors or browse the gorgeous website for inspiration and good vibes. By creating color palettes inspired by images and pictures submitted via #SeedsColor on Instagram. What designs are you working on? Dribbble is show and tell for designers. Dribbble is a community of designers answering that question each day. Web designers, graphic designers, illustrators, icon artists, typographers, logo designers, and other creative types share small screenshots (shots) that show their work, process, and current projects. With Adobe Color Wheel you can use their color rules to find matching colors or browse the gallery to get inspiration. However, you can also upload your own picture to determine its color palette in a moment. If your goal is to find matching colors for a project, adobe color CC may be your go to resource.You can also sign in to adobe to access already made professional colour themes and you can create your own themes as well. On the colourlover website you'll find over 4,490,053 user-created color palettes to inspire your ideas. Use the color palette maker to create and share your favorite color combinations.You can browse the catalogue and see which palettes have most love, have most comments or most favourites. If You find color combinations you like, you can easily see the HEX codes of all the color palettes. These are browser extensions for screenshot or screen capture and annotation which make taking real-time screenshot of web pages that easy. They comes in Firefox add-ons, Chrome extensions etc. Awesome Screenshot is a very handy browser extension for taking screenshots of websites and annotating them. Very useful for saving designs you like and communicating with others about design work. Another powerful screen capture tool and annotation browser extension. It can capture a full/entire page, visible part, selection/element, browser window or all tabs.This is what i've been using it for sometime now. And I can vulge for its effectiveness and efficiency. This screen capture tool has a Firefox add-on and a Google Chrome extension as well. NOTE: Trying to access this website which is a subsidiary of TechSmith wasn’t possible. Apparently, Ghana has been blacklisted and our IP is as a result rejected by the server.Feel free to try it out. It may work for you. Jing is also a screen capture tool, but it’s not tied to your browser. So, for any screenshot outside of the browser, this is the one to use. Also makes it easy to annotate and share images. Agraphic design tool with a huge collection of Photoshop actions you can use to render ebook cover graphics and other “cover shots” of various formats. VideoHive is a marketplace, so the stuff you find here is not free. However, if you do video work, this is a great place for finding pre-designed assets and design tools to add a professional touch to your videos (e.g. intro strings, lower thirds etc. ).